The ‘Just Go With It’ actress is so bored with the endless speculation about her love life that she thinks she should call up Hollywood’s most famous bachelor George – who is also a close friend of her ex-husband Brad Pitt – and propose. The ‘Up In The Air’ actor is currently in a relationship with Italian model-and-actress Elisabetta Canalis, while Jennifer is not dating anyone. 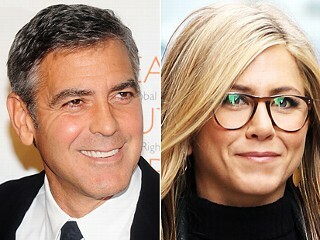 The 42-year-old star would not rule out getting married again, but she insists it is also important to love yourself, and at the moment her pals – including her former ‘Friends’ co-star Courteney Cox - are the most important people in her life. Jennifer told this month’s Red magazine: “You have to have a balance in life. You have to also have your own personal love: what inspires you, what excites you when you wake up in the morning.